I want to let my readers know up front the main characters in this book embrace alternative sexualities but this book is about so much more. Their attraction to each other is an underlying theme in this story but is far from the main one. Instead it is a story of horror and of healing. Both Devon and Jordan are strong women that have been hurt in the past and are still healing. Devon has been on the run for years from a crazed stalker who wants her dead. Jordan is a police officer who was wounded in the line of duty and still blames herself for not being able to save everyone. Between staying one step ahead of Devon's stalker, both women grow closer and start to heal. 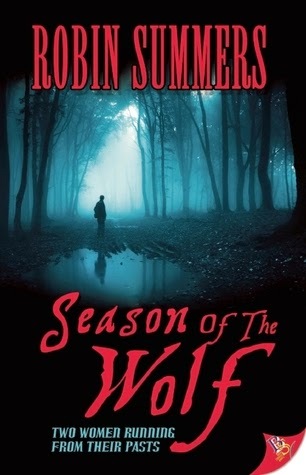 I found SEASON OF THE WOLF to be an incredible story. It is a testament to the strength and healing power of love as well as being a first rate thriller. I highly recommend this book to any of my readers who are not offended by alternative sexualities.